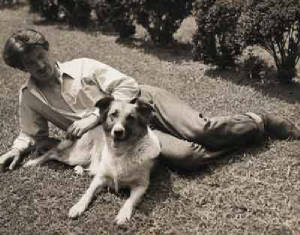 Eric Knight and his collie, Tootsie at home. Tootsie was Eric's gift to his wife, Jere and the basis for the Lassie dog story. Welcome to the Lassie Family Website. 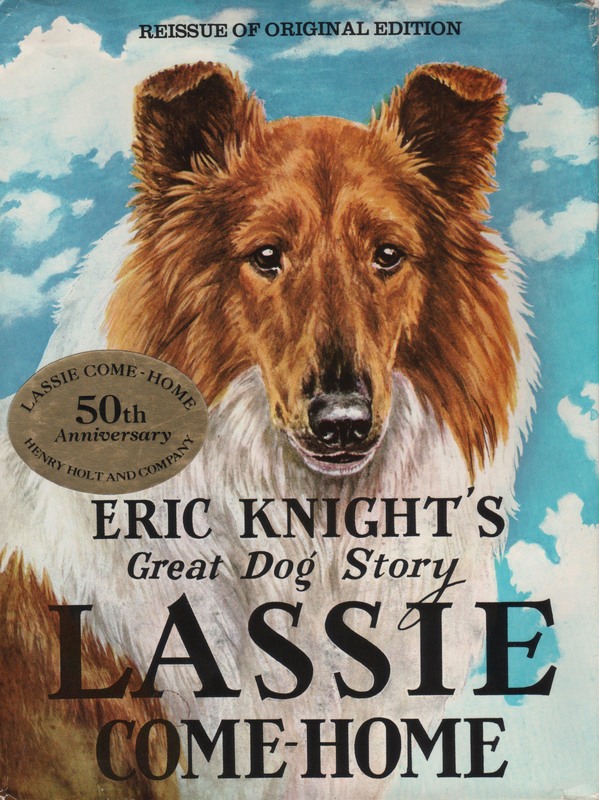 This is dedicated to Eric M. Knight, author of the beloved children's novel, Lassie Come-Home. 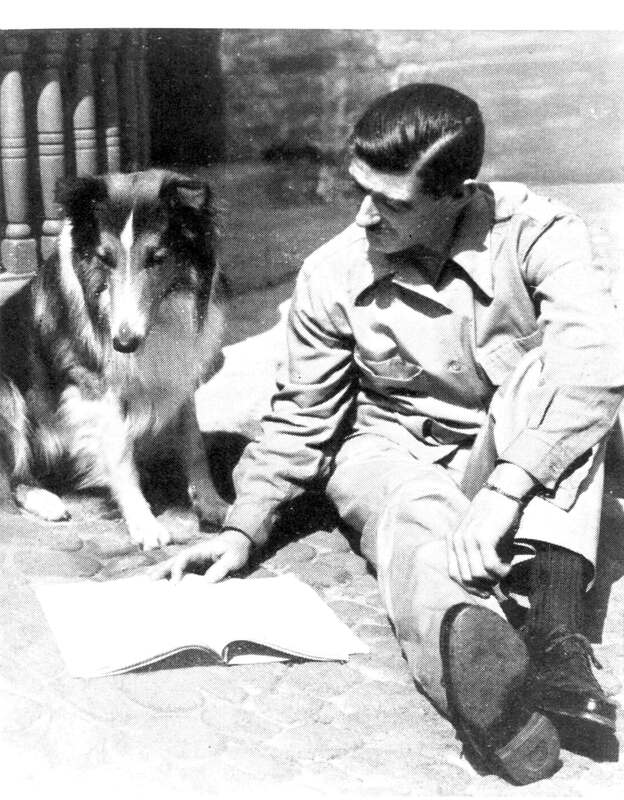 We hope you enjoy learning about the creator of what has become the world's most well-known canine, LASSIE! Eric Knight was born April 10, 1897 in Yorkshire, England. This lush countryside was the setting he chose for Lassie's adventures. Knight grew up in the mill towns where stories of "come-home" dogs were common. He was raised by an aunt and uncle and worked and went to school as a youngster part time. 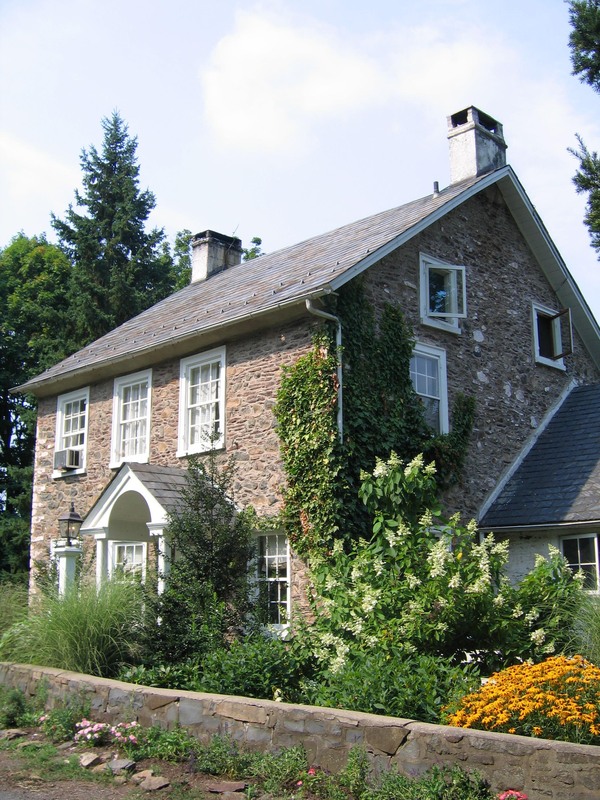 Immigrating to the US in 1912, he settled in Philadelphia. He studied music and art and attended the Cambridge Latin School in Massachusettes. Always a patriot, he joined the Princess Pat Regiment in Toronto, Canada to fight for his beloved Yorkshire in 1917. His only two brothers enlisted in the Pennsylvania National Guard. They were killed on the same day in 1919. Here Eric sits with the first Lassie, "Pal" on the movie set in Hollywood. To learn more about Eric Knight, try to locate some of his other novels at a library, online, or used book stores . 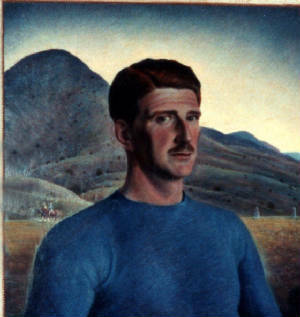 They are semi-autobiographical and give a good picture of his life: Invitation to Life, Greenberg, 1934; The Flying Yorkshireman, Harper, 1936; Song on Your Bugles, Harper, 1937; You Play the Black and the Red Comes Up, (under pseudonym Richard Hallas) R.M McBride, 1938; The Happy Land, Harper, 1940; Lassie Come-Home, Winston, 1940; This Above All, Harper 1941; Sam Small Flies Again: The Amazing Adventures of the Flying Yorkshireman, (short stories) Harper, 1942. Eric Knight was killed Jan. 15, 1943 in a tragic plane crash on his way to North Africa. In 1993, his granddaughter, Betsy Cowan began an investigation into the cause of this crash. To see more information, go to "Plane Crash Jan. 15, 1943" at the upper left of this page. In April, 2008, she visited the exact site of this crash in the jungles of Suriname. To view Betsy's trip there, go to "Suriname Trip April 08" at the upper left of this web page. For an excellent insight into the character and quality of the man, locate a copy of Paul Rotha’s Portrait of a Flying Yorkshireman, Chapman & Hall 1952. It is a collection of letters Knight wrote to the Englishman, Rotha from Sept. 1932 to Dec. 1942. It is from these very personal communications that Knight’s spontaneous, vigorous, enthusiastic, tragic and sometimes amusing words bring his soul back to life. What a gift. What a legacy. Please treasure it as we do. I wrote the song "Legacy of Love" ©1999 in honor of my grandfather. 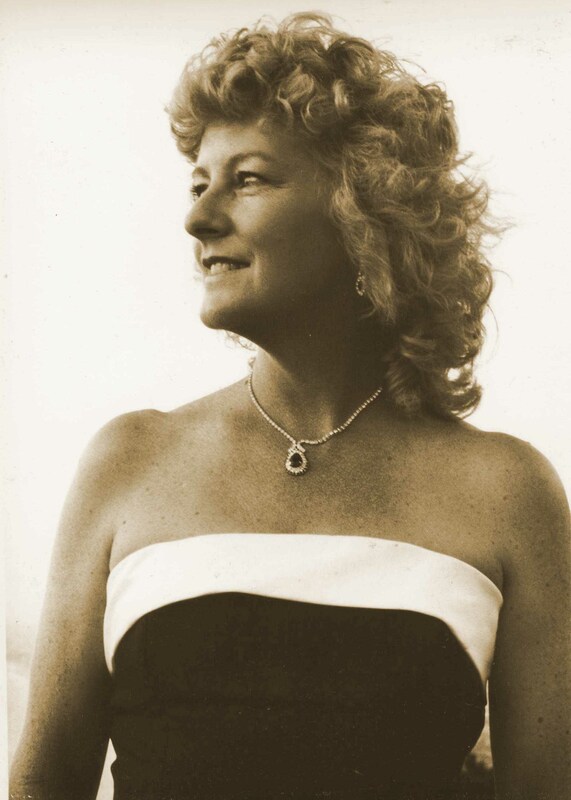 Listen to Betsy's song, "Legacy of Love"
Betsy wrote "Legacy of Love" © 1990 in honor of her grandfather. Click to listen to "Legacy of Love"